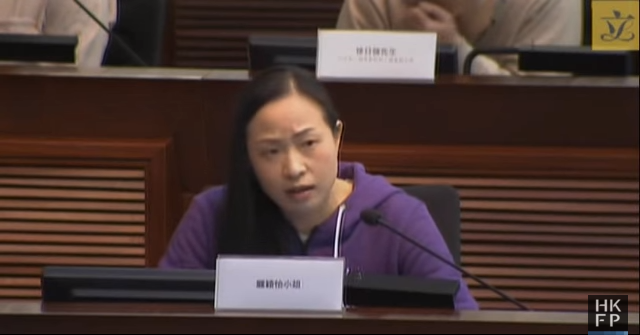 A woman who delivered a voracious tirade against Leung Chun-ying’s government has won the approval of netizens after she called officials “worse than thieves” during a meeting at the legislature. Rita Kwan Wing-yee identified herself as “a citizen who loves Hong Kong” during a special meeting held by the Panel on Welfare Services on Monday. Kwan was unhappy that the government was willing to spend billions on “white elephant” projects such as the Hong Kong-Zhuhai-Macao Bridge, but much less on Hong Kong citizens. Rita Kwan Wing-yee. 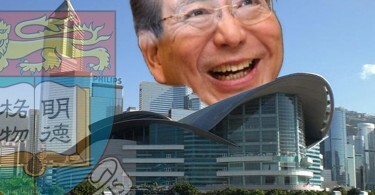 Photo: HKFP screenshot. She criticised officials for not understanding how difficult life is for average Hong Kong residents. Kwan asked if the government was kidding when it suggested that those qualifying for retirement protection would need to have assets totalling under HK$80,000 and that the monthly assistance in the programme would only be HK$3,230. Kwan also said that Hong Kong has “morally degenerated” and questioned why nobody had held Chief Executive Leung Chun-ying accountable for receiving a secret payment of HK$50 million from Australian company UGL, or why there is still no progress on the case where seven police allegedly beat up a protester during the pro-democracy Occupy protests in 2014. Her angry speech received enthusiastic support from netizens. “I really agree with what Miss Kwan said. Thank you for voicing our opinions. There are not many Hong Kongers who dare to speak out like that,” one said on Facebook. However, not all were impressed: “Everyone knows how to scold, but it is of no help. You’re only good if you can give some effective suggestions,” one said. The special meeting was held to discuss social security and retirement protections. Members of the public were invited to attend and speak about the issue.